The Goat. And other stories. ￥5,250 (税込み) 18.9 x 15.2 cm. Natural History Series. 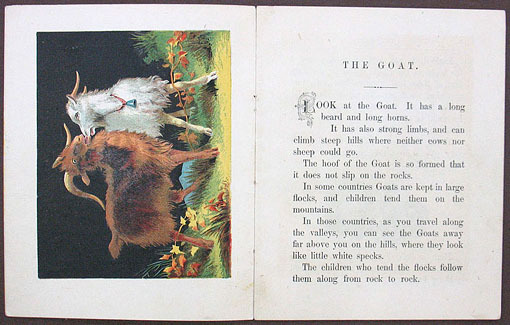 8 pp., with 3 chromolithographic plates and 3 line illustrations. Original pictorial wrappers in color.